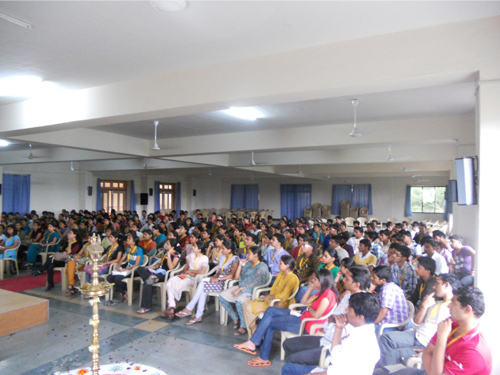 On 12th August 2011, Baramati Youth Conference was held at Vidya Pratishthan, Bachelor of Education (B.Ed) College, Baramati. 231 Participants had registered for this annual Regional Youth Conference in Baramati with the objective of bringing change within themselves. 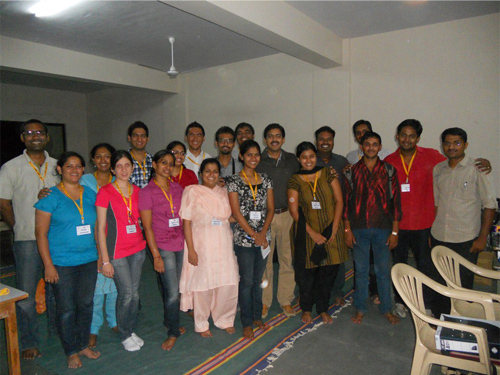 Participants came from various colleges of Baramati, nearby villages and cities. Some participants were travelling from Pune, and eight participants came from Lok Satta Party Andhra Pradesh. The conference was inaugurated on 12th August by Smt. Pournima Taware (Vice Mayor of Baramati), Principal Sangita Gaikwad (B.Ed College), Mr. Amar Mukhopadhyay (Registrar, Vidya Pratishthan), Youth Representatives Adv. Priya Gujar Mahadik (Reputed advocate in Baramati) and Adv. Akkshhey Mahadik (Local Coordinator-Baramati Region). Smt. Pournima Taware shared her own experience of visiting Asia Plateau, the Initiatives of Change center (Mra-IofC) and her admiration to the concept of inner listening and inner voice. She endorsed the concept of self-correction before embarking on the journey to change others. Priya Gujar Mahadik, who has been an associated with Youth Movement of Initiatives of Change for over 16 years, welcomed the coordinators and volunteers who had come to Baramati, exhibiting their personal sacrifice. She shared with enthusiastic audience her own experiences of how she decided to start change with herself before expecting others to change. Adv. Akkshhey Mahadik, as representative of organizing Youth Team, shared that MRA was just a name for him for several years, it took several years for him to experience this concept and now is extremely grateful towards learning to live on moral and ethical values. He thanked all the people who have helped directly and indirectly in organizing this Conference. He expressed gratitude and thanked Mrs. Sunetra Pawar, who gave us the permission to host this conference in her Education Campus, Mr. Mukhopadhyay (Registrar of Vidya Pratishthan) for giving the B.Ed College and his active support. He thanked Mrs. Sangita Gaikwad (Principal of B.Ed College) for providing all facilities such as Auditorium, Classrooms etc. He acknowledged Shri Rajendra Pawar for his guidance and support as over 84 Girl participants came from Agriculture College and Girls College. He thanked Mr. Musale (Secy. To Mrs. Sunetra Pawar, NCP) for his active support to making this conference successful. He also thanked Mrs. Pournima Taware for being the Chief Guest and giving her wisdom to all the participants. He expressed his indebtness towards all the Sponsors such as Swapnil Shaha, Vaibhav Shaha, Unique Shoppe, and all Baramati local team for pursuing with great dedication for making this conference a reality. He shared admiration to Miss Zainabh’s family who encouraged her to work tirelessly inspite of Holy month of Ramadan. Akkshhey welcomed the participants who have arrived from Hyderabad. And lastly he expressed that all this movement and Conference has been successful because of the leadership of care and love given by Mr. Viral Mazumdar, and thanked him for taking his time off to nurture the Baramati Youth Conference. After the Tea Break, Mr. Viral Mazumdar introduced the 14 coordinators who had come from different parts of India. He promised the participants that it is an open challenge that if the participants did not leave the conference with a tear in the eye, or felt that it was not worth participating in the Conference they would get refund of their Conference fee of Rs. 500. The participants were assigned to their various family groups and sent for their first Group Discussion where participants introduced themselves, starting a new journey of trust building and sharing within the group. The first day of the conference concluded after much fun fare with a sumptuous dinner at the Canteen of Vidya Pratishthan Girls Hostel. On the second day of Conference 13 August, participants arrived on time for the breakfast at the venue; many had traveled great distances, some who walked 10 kms each day, changing buses to attend the conference. Their punctuality and commitment ignited greater enthusiasm amongst the Coordinators. After the prayer, Mr. Viral Mazumdar explained the concept of Quiet Time, and what happens when one listens to the voice within. He touched a chord amongst participants by sharing several examples of how listening to oneself can bring several improvements in relationships, career and achieving success. 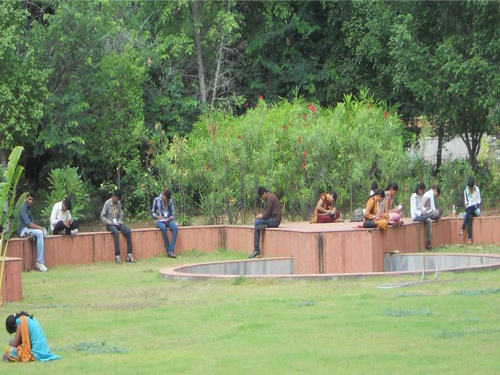 After giving an overview, participants were sent for first experience of Quiet Time in the sprawling campus of Vidya Pratishthan. Many took their diaries and pens and started looking inwards, guiding their thoughts based on the inputs given. After this several participants shared on the dais their first experiences of quiet time. One participant explained how he recollected his struggle that even took him on the verge of suicide due to academic failures and how he has greater resolve to fight against his problems. One dynamic youth shared about recollecting all his experiences where he compromised on his values while contesting in local elections and is battling in his mind which is the correct path. After a brief break, the Conference went at one stage deeper by discussing the ABC of MRA, explaining each of the four values –Purity, Honesty, Unselfishness and Love. He narrated several examples of his own life which he evaluated during his Quiet Time and then took correcting steps. Along with other few experiences of other coordinators he explained at great detail how many of us have compromised on these values and inflated our egos each day. Several doubt about what each of these values mean in various context were discussed, participants went for lunch with thoughts of relating several of these examples within their own lives. 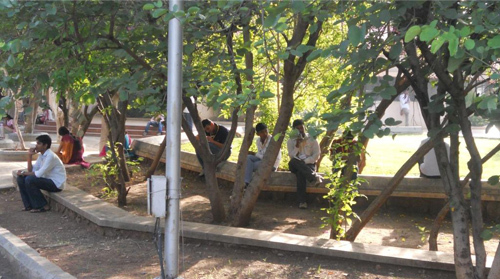 After a well-organized Group Snap in the campus, the participants were back in their classrooms for Group Discussions. Several Groups went into deep discussions of about these values, the struggles that each one faces to comply with these values. The Coordinators facilitated these discussions focusing the participants to look inwards and to identify where they comprised and creating an environment of trust within the group to share their issues, grief’s and experiences. Several participants shared and narrated their own experiences where they fell prey to convenience, ego and selfish benefits. Followed by a quick Tea Break, the participants were back in Auditorium for a newly added Session named as Golf Exercise was conducted. Exercise on ‘what I am made of’ was demonstrated keeping in mind the most important aspects of life, which will always remain so focus on it should never be diluted, like family, relationship, wealth generation, hobby, good health, career, study etc. never to waste time on small things because small things in life take away your vital time off life and deprives one to focus on the larger goals which are vital. Everybody was encouraged to write their life on a sheet of paper where I stand, and how do I invest myself keeping the larger goals in mind rather then wasting time on small irrelevant issues. Questions like where do I see myself in next five years gave the participants a deeper thought process to visualize themselves their life in the coming years. After a grand Maharashtrian Dinner the conference for second day was concluded. Coordinators worked till late night preparing for the next two days of sessions. On 14th August, after breakfast the participants arrived in the Auditorium for prayer. After which we conducted the inner look exercise which took the Youth participants in a journey of looking within, where they realized that we have different personalities for different people. In their introspection, they related to the exercise and shared several broken relationships, vices, and impurity within their hearts. If one takes the courage of looking within, we see the muck inside, this is the first step towards change, comparing one’s life with the absolute standards of Purity, Honesty, Love and Unselfishness creates a road and a guide map to become a better human being. The Course Director mentioned that “Every person in this world starts with a family where one belongs and where one wants to return back, but still we invent ways and means to stay away from the family in-spite of staying within the family. Our EGO decides with whom we should have good relation but when one keeps ego aside she or he sees the true nature of oneself and realizes how important family is and one needs family constantly, and whenever somebody near and dear leaves and goes to their real home the pain of loss cannot be measured and it stay within for rest of our life. But still why we are divided within the family.” Every person thought very deeply and expressed with pain and tears family is the best resting place. “I love my father he gave we all that I needed and desired, today he is not there, with him I have lost a vital part of myself, I cannot go to others with same love same passion to ask what I use to ask and get from my father, today I realize the value of my father” shared a young girl. After which Youth Team conducted the session on Family and Relationships, explaining that Family is the ultimate resting place, but still each one of us has different means to go away from family. The participants spent several hours churning with thoughts about how to improve their relationships with their family. He also added that ‘'More than alcohol, girl child is a big issue in our country; people are forgetting the importance and relevance of mother in our society, for me I cannot see God nor can I communicate with God but I look at my mother as God sent, because of my mother I am in this world, the love, the nurture, the care which she gave me when I was in her womb is of enormous significance to me, all the first things of my existence are been taught and given to me by my mother but still why this society treats the girl child as a taboo. Many don’t want girl child in their family, this pains me beyond repair many such girl child came and spoke their pain that their family regrets having them in the family, one even went to an extend by saying that I live and study in the same town but because I am a girl child my mother does not wish to see my face and due to that I have to stay in the hostel and I am not allowed to visit home along with my sister. I do not have any answer for such deep rooted pain but I will definitely seek in silence. One young girl shared with him that “God has been unkind to my family and me, I lost my only brother due to illness and few years ago l lost my father I am the only one left in the family one side I have everything but I do not have a family, who will carry forward the name of my family, I never cried in all these years ,today I could not control my emotions”. In the rural India even the girl child feels that relevance of a brother is far more significant than a sister. Hope someday these girls will feel their importance that they are no less than a male child and they can do everything what males can do. After this deep sharing of their personal lives, there was a Multi Faith Prayer, where participants recited prayer from every religion. There were participants following Buddhism, Jainism, Islam, Christian, Hinduism, etc. This was first time experience for several participants and gave them greater strength to pursue their path. After Group Discussion, where several participants who did not speak on podium discussed about their own problems in relationships and how ego has strained several bonds within family. Participants were encouraged to write letter to themselves, which would be posted next year by Initiatives of Change. Participants voluntarily organized themselves in their family groups for Dinner and spent wonderful moments which brought natural care and affection amongst them. Participants on several tables sang with great happiness songs of friendship and affection. On 15th August, participants arrived at 6.30 am in the Auditorium, though this time was a major hindrance for participants to arrive from faraway distances, every participants was inside the campus much before the 6.30 am cutoff. After the prayer and inputs for Quiet Time the participants went for their last session of inner listening for over an hour. Participants wrote their thoughts on several pages, spending a lot of time thinking deep the choices they would make to be better benchmark citizens, relating to all experiences shared by other participants and inputs given. After the quick Breakfast, participants assembled in the Auditorium for National Anthem. First the deaf and dumb version of Indian National Anthem was sung, and then the National Anthem was sung with great gusto and passion igniting passion of nationalism and bravery. Right to Information Training Session was conducted by Navendu Shirali; he showed several applications filed by him. He showed a clipping of Goa Bachao Abhiyan, on how the citizens became active in his state in exposing illegality of real estate construction. All participants were trained in filing an RTI Application. He mentioned that several times, we are forced to fight with the system and that time each one has to be equipped with tools such as RTI to pursue for our rights and justice. One Girl participant volunteered to file an RTI to question the Sugar Mill that dumps its unfiltered water waste in her farm’s pond. One youth shared that every time he visited the ration shop with his father they are always informed that there are no supplies. He promised to file an RTI application to find when stocks will arrive. In Viralbhai’s words- “Disciplined when enforced is achieved, but self-discipline when applied brings out true character of a person”. The pledge was introduced to the participants sensitizing them, how to live one’s life based on sustainable living, sacrifice, and limited needs. The pledge is self-corrective and when one fails, one punishes oneself to ensure that she / he rises above and sets a new standard. All those with strong will and conviction raised their hand, signed the pledge and the remaining who couldn’t do it assured that they will work hard and will only sign to commit when they will live by it. The Baramati Youth Team, announced the follow up meeting date and venue, and also shared their plans to revive for a local mobilized team. The Dias was thrown open for Feedback, several youth thanked deeply for such life changing conference, many cried for the great affection, care and guidance experienced by them. Many shared about finding and strengthening their broken relationships, finding greater purpose and clarity in life. They all promised to follow disciplined quiet time and cultivate the habit of listening to conscience. After the exhaustive Open Forum, the participants were felicitated with Certificate, Disha Magazine, Address Sheet and Group Snap. There was an informal farewell at the Canteen after Lunch, several participants cherished these last moments of the Conference by clicking several pictures, singing songs etc. The last day of the conference was a perfect icing on the cake, participants were made to focus on their life in the years to come, how I get connect with all those who have gone away from my life and my contribution to make India a happy country. Participants expressed joy, reconciliation, commitment, dreams and to follow the calling from inner self. The ending was sad as we all were departing; few days ago we were strangers but today the bond was deep and the feeling within was of pain because we had started to like and love the strangers. Such is the power of human warmth but still we belong to a family and can we express the same warmth? The Eight member team that works closely with Dr. Jayaprakash Narayan (Loksatta Party and Foundation for Democratic Reforms) shared their feedback. Many of these had left successful corporate jobs and joined Loksatta movement with strong academic backgrounds. They mentioned that initially they had planned to play the role of observers to look at the Conference and how it can tweaked to be taken to thousands of Youth in Andhra Pradesh. They shared that as sessions built up, they were overwhelmed by their own journey of introspection, self-correction and sharing. They reinstated that they would fully support the MRA-Initiatives of Change movement, as truly change started with oneself.